George’s Corner: Support Our Veterans! Passanante’s Presents GEORGE’S CORNER, a special column written by 10 year veteran of Passanante’s Home Food Service, George Flasinski. Did you know that one-third of the adult homeless population is veterans? In my opinion we have an obligation to ensure they have the support necessary to live a productive life after their military service. About 1.5 million other veterans are considered at risk of homelessness due to poverty, lack of support networks, and dismal living conditions in overcrowded or substandard housing. Why are veterans homeless? In addition to the factors influencing all homelessness – extreme shortage of affordable housing, livable income and access to health care – a large number of displaced and at-risk veterans are living with the lingering effects of post- traumatic stress disorder (PTSD) and substance abuse. These factors are often times compounded by a lack of family and social support networks. Our homeless veterans need access to secure, safe, and clean housing that offers a supportive environment free of drugs and alcohol. What seems to work best? According to the National Coalition for Homeless Veterans, the programs that seem to work best feature structured, transitional housing that are substance-free and populated with fellow veterans who share the common goal of bettering themselves. What can I do? 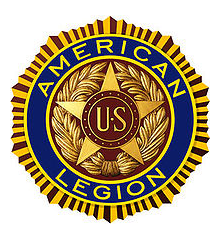 Support programs like The Pennsylvania American Legion Housing for Homeless Veterans program. We are a nonprofit ‘veterans helping veterans’ organization that partners with the VA’s program for homeless veterans. Our program is designed to enhance the quality of life for the veteran and their families by providing clean transitional housing. It will also help them to become productive taxpaying citizens by securing a decent job. Our homes are located in Moon Township, a suburb of Pittsburgh, Philadelphia and Ephrata, Pennsylvania. Our vision is to give homeless veterans a second chance at the American dream. The remodeling and upkeep of these homes is the responsibility of The American Legion Housing for Homeless Veterans, Inc. We need your support! Thank you in advance for your consideration and support. In order for The American Legion to finance this program, we are asking for your support. Please make checks payable to: PA American Legion Housing for Homeless, Inc. Mail to: Ron Conley, President, 709 Hope Street, Pittsburgh, PA 15220. For additional information please call: The Pennsylvania American Legion at 717-730-9100. *The views or opinions expressed in “George’s Corner” blogs do not necessarily reflect those of Passanante’s Home Food Service. This entry was posted in Promotions and tagged National Coalition for Homeless Veterans, Passanante's Home Food Service, Pennsylvania American Legion, Post Traumatic Stress Disorder, PTSD, Sons of the American Legion by Passanante's Home Food Service. Bookmark the permalink.